Hotel Tsuruya located on Kyu-Karuizawa Main Street. Please feel free to contact us when you need more information. It is about 2 km and a taxi from JR Karuizawa Station, and is about 5 minutes. It is about 2km from JR Karuizawa Station, 5mins by taxi. 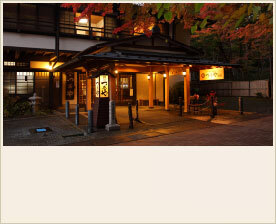 It is located in front of Hotel Tsuruya and 30 seconds away from there. Hotel Tsuruya is located on Kyu-Karuizawa Main Street. This hall is located along the old Karuizawa Ginza.